Compartmentalise fire zones and reduce the spread of smoke and fire. Keep escape routes and fire-fighting access open. Allow pressurisation and smoke extract by combined operation of dampers and fans. Allow complex strategies (cause and effect). The ACTIONPAC LNS5 system represents the fifth and latest evolution of damper control in the ACTIONPAC line of control panels. 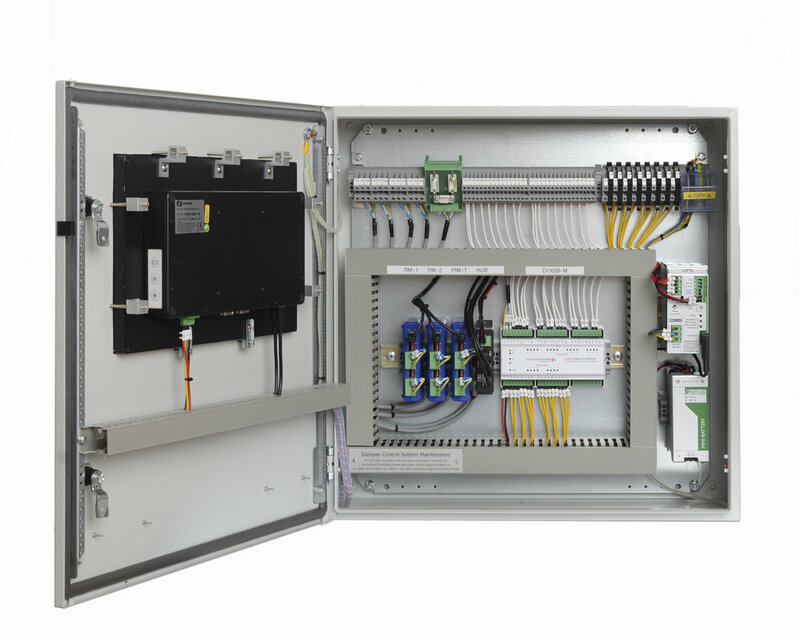 The system has been designed with the user in mind, providing an advanced tool that simplifies installation and commissioning of dampers and peripheral devices. Its server architecture delivers benefits such as reduced commissioning time, simplified operation and scope for future growth and complete flexibility. ACTIONPAC panels are currently protecting hundreds of buildings across the world - hotels, data centres, stadiums and offices. Each building type has it’s own requirements and ACTIONPAC is proven to be flexible, adaptable and reliable. Our team are experienced in working with both consultants and contractors and able to give you key guidance as to the elements you should consider when developing your cause and effect. Swegon’s preventative maintenance plans have been developed to meet our customers’ specific needs. Our service engineers will ensure your system is kept in full working order. Consultants in the field of fire engineering have long recognised the damage and danger to human life that can be caused by smoke spreading through buildings, even when the fire is confined to a small area. Smoke/fire protection can save human lives as well as keeping damage to property and contents to an absolute minimum. Control measures for smoke/fire protection, in old and new buildings, comprise of a wide variety of systems and items of equipment that must be carefully integrated in order to ensure maximum safety. One of the most important tasks is performed by the automatic smoke and fire dampers that are incorporated into HVAC systems. In an emergency they must close immediately to contain the smoke and fire and prevent their spread through the ducting or open immediately to allow smoke extraction to take place. The ACTIONPAC LNS5 System consists of either a 10 or 15 inch embedded computer depending on the panel size, UPS and pre-loaded software. The system communicates with damper interfaces to provide intelligent control and monitoring of motorised dampers and monitoring of manual fire dampers. The data network cabling enables substantial reduction in costs when compared with conventional systems. Digital input/output devices can be accommodated on the network cable or located within the panel enclosure. The embedded panel computer is supplied with ACTIONPAC LNS5 software and operates on an embedded platform, which is extremely user friendly. The server architecture delivers benefits such as flexibility, reduced commissioning time, ease of configuration, simplified operation, future system growth, full diagnostics for system and device integration along with optional automatic scheduled damper testing.